"Amazon's lead is over," he said during his keynote address at the OpenWorld conference in San Francisco. "Amazon's going to have serious competition going forward." To that end, the company he co-founded is launching a set of new cloud datacenters that are aimed at providing more powerful compute instances to help it compete against the likes of AWS, Azure and other cloud players. The generation 2 datacenters will be capable of bringing a variety of performance improvements to customers who want to run high-performance workloads in the cloud. The infrastructure as a service (IaaS) offering that Ellison announced on stage is aimed at giving companies low-cost access to incredibly powerful hardware in the cloud. It's an attempt to draw businesses towards Oracle's services as they start migrating applications to take advantage of the performance and low pricing available as a result of not operating their own datacenters. Ellison showed off a new Oracle Dense Cloud IO bare metal cloud server offering that will provide developers with 36 CPU cores, 512GB of D-RAM, and 28.8TB of SSD storage. That's a ton of compute capacity, all aimed at high-performance enterprise workloads. It's more power than Amazon offers with one of its most powerful instance, the i2.8xlarge. All of that comes at a cost of US$5.40 an hour, which is cheaper than what Amazon charges. Deepak Patil, a vice president of product development at Oracle, said in an interview that the company was able to compete with Amazon on price and performance for three reasons: the different way that it architects its infrastructure, its access to the latest and greatest hardware and the fact that its cloud platform is built on top of Oracle-made hardware. Oracle Vice President of Software Development Mark Cavage said that the company plans to charge a flat 7.5 cents per instance hour per core across all of its compute offerings. In addition to its bare metal options, the company will also offer four- and eight-core virtual machines at launch. 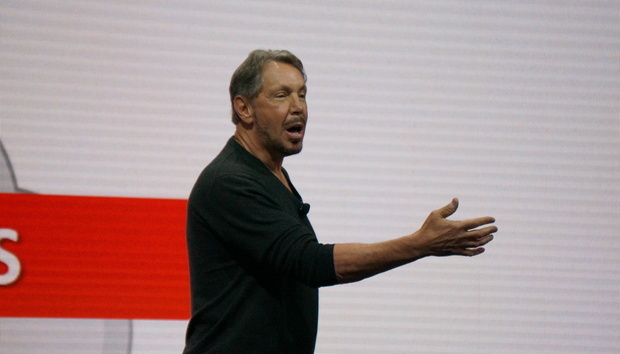 By the end of the year, Oracle will also make one- and two-core VMs available. The new infrastructure offerings will be available from Oracle's western US cloud region, which is based in Phoenix, Arizona. The capabilities have been in closed beta since this spring, and will be made generally available on October 13. By the end of this year, Oracle plans to have a second generation 2 region live in the eastern US, and expects to expand to England and Germany by the close of its fiscal year in June 2017. IDC program director Al Hilwa wrote in an email that he had little doubt Oracle would be a major force in the cloud, and is building momentum. "In terms of market leadership, I think Oracle will have to produce much faster growth rates to really get ahead of Amazon or even Microsoft in IaaS, and analysts will be watching its spend on data-centers to track this," he said.